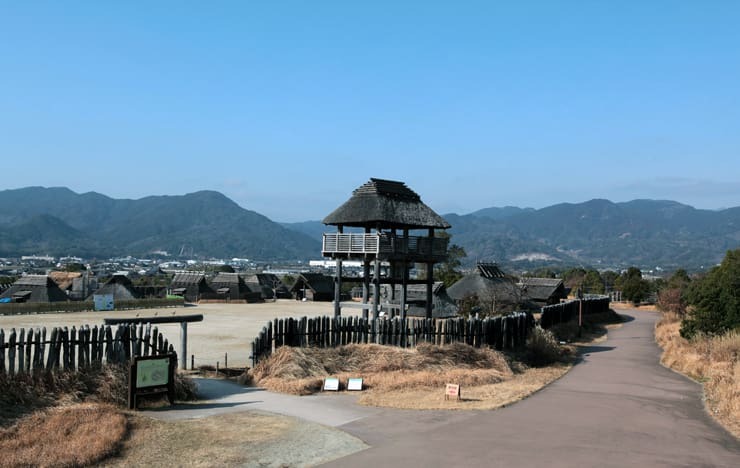 Yoshinogari Historical Park in Saga Prefecture was established to preserve Yoshinogari ruins. 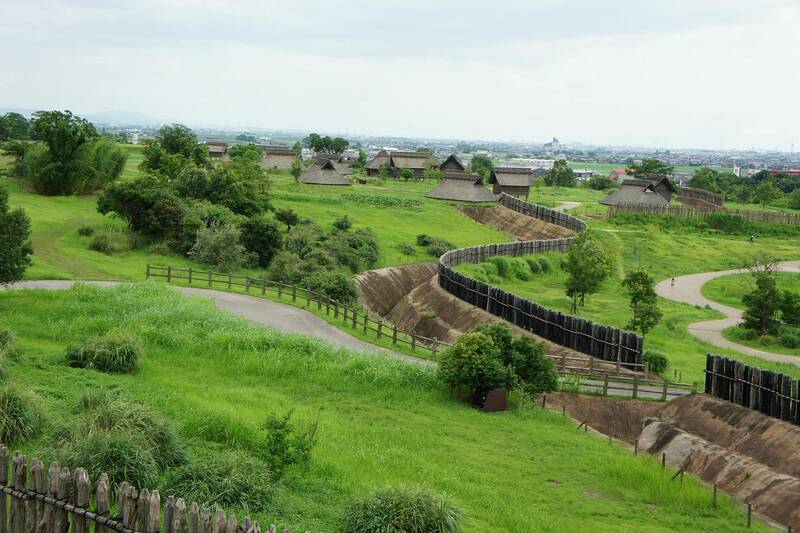 The park is also designed so that visitors can learn about and experience the life during the ancient Yayoi Period. 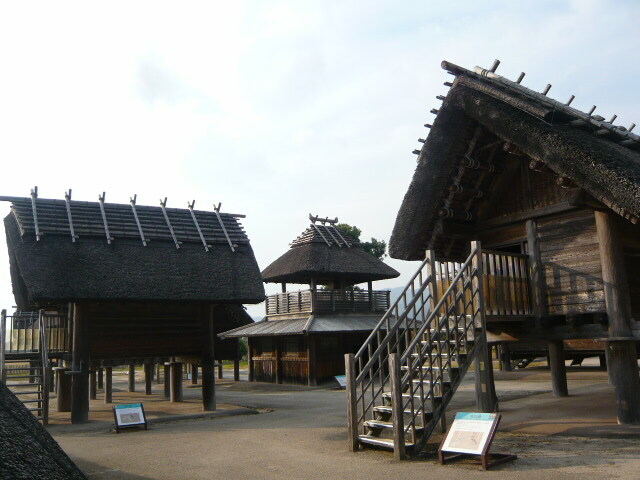 An accurately reconstructed village and unique exhibits help visitors understand Japanese prehistory. The concept of the vast park is “Listen to Voice of the Yayoi”. Visitors can experience the ancient lifestyle of the Yayoi Period. Yoshinogari historical site is one of the largest in Japan: it covers the Kanzaki area (a merger of former Kanzaki town, Mitagawa town, and Higashisefuri village) in Saga Prefecture. This is the east gate of the ancient Yoshinogari Village. Minami-naikaku is believed to be where the ruler of Yoshinogari village and ruling class resided. It is believed that Kita-naikaku was the most important area not only in Yoshinogari village, but also in the entire nation-state. It was the place where festivals and ceremonies were being held. The burial mounds, called Kitafunkyubo, are the final resting places for all the rulers of Yoshinogari village. Burial Jar Rows refer to a common burial practice in the middle of Yayoi Period. It is believed that priests used this area in order to make ritual objects for festivals and political ceremonies. This area was most likely a residence area for the public. Kura to Ichi was a commercial area where a large market was being held to trade local specialty products. In addition to the ruins, children can enjoy a playground with fun equipments in Yoshinogari Historical Park, making this a family-friendly attraction. Admission fee: 400 yens (adults), 80 yens (children), free for children below 6 years.